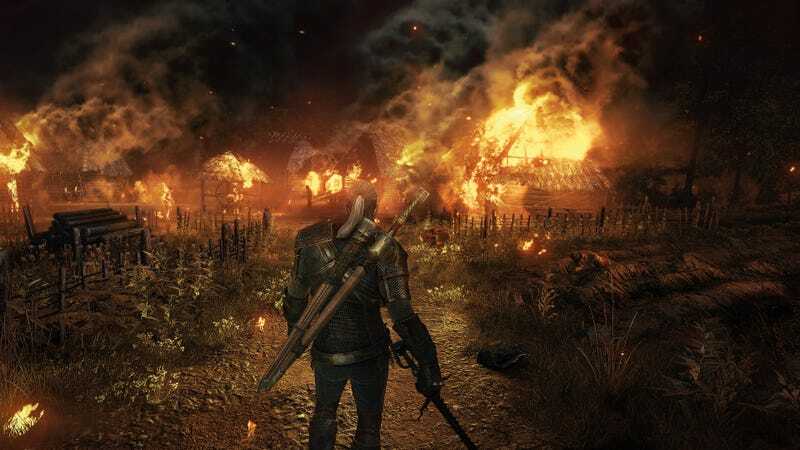 You're going to have to wait a bit before playing the hotly-anticipated role-playing game The Witcher 3: Wild Hunt. Once planned for a late 2014 release on PC, PS4 and Xbox One, it'll now be out in February of next year. Ever since we started working on the third installment in The Witcher franchise, it has been our aim to produce a title that would take our 11 years of experience in creating RPGS and distill them into a quintessence, into a game that would effectively crown those years. At the same time, we have wanted The Witcher 3: Wild Hunt to expand creative boundaries, set new benchmarks, develop the genre as a whole. Ultimately, you, the players, must get an unforgettable adventure to experience in a vast, open world – and that's most important. We've created a story that flows naturally, cinematically, rendered it in amazing sound and visuals, while preserving full freedom of choice – all for you. We knew this to be an ambitious plan, but believed we could achieve it by bringing together our team with its creative energies and current gaming platforms with their technical capabilities. A project this vast and complex would inevitably require special care in its final stages, manual fine-tuning of many details, thorough testing time and again. We recently reexamined what we had achieved thus far, and faced a choice about the game's final release date. The decision we made was difficult, thoroughly considered, and ultimately clear and obvious. We could have released the game towards the end of this year as we had initially planned. Yet we concluded that a few additional months will let us achieve the quality that will satisfy us, the quality gamers expect from us. Consequently, we have set the release of The Witcher 3: Wild Hunt for February 2015. Dear gamers - we know many of you would have liked to play The Witcher 3 sooner, as soon as possible, even. We're sorry to make you wait longer than you, or we, initially assumed you would. At the same time, we believe the game will prove to be worth the wait and meet the expectations you have of us. We believe The Witcher 3: Wild Hunt will be an exceptional RPG, one of the best, providing many hours of wonderful entertainment. Dear shareholders – we are aware of the responsibility that rests with us and thank you for the trust you have granted us thus far. We firmly believe that quality – more than any other factor – determines a game's success, and that the decision we have made is thus equally valid in business terms. The Board of CD PROJEKT S.A.
"A delayed game is eventually good; a bad game is bad forever."